The eating part of my Thailand escapade has been done. Now let's move on to the shoppinggggg! 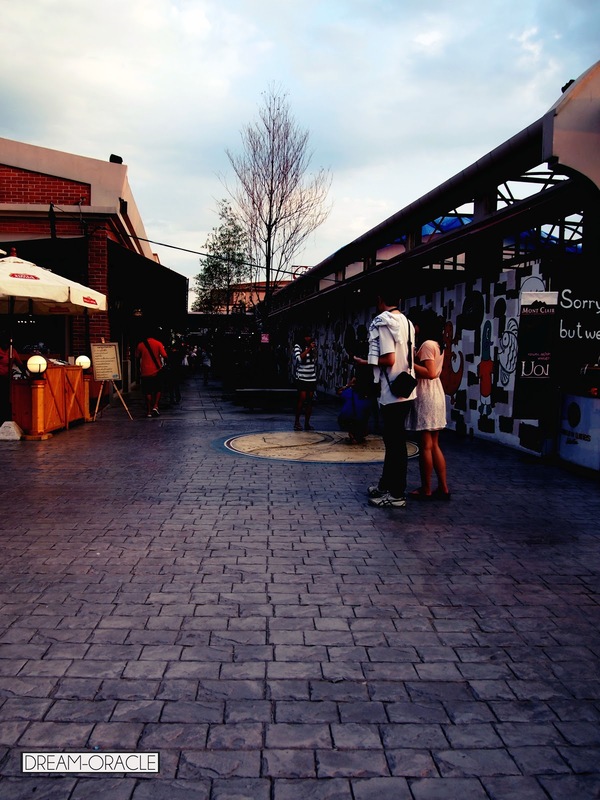 In this entry, I'll introduce you to some of the shopping areas in Thailand. and which ones are worth your time. Let's go! To get to Asiatique, you have to take the BTS and alight at Saphan Taksin station, then follow the signs to exit the station and head left. 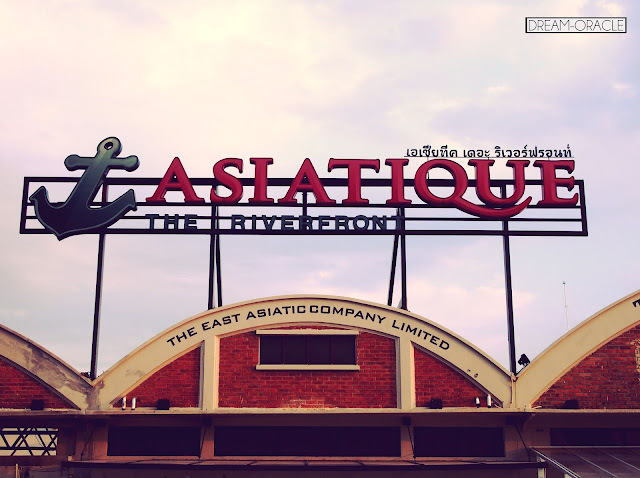 The ferry terminal is there to take you to Asiatique. 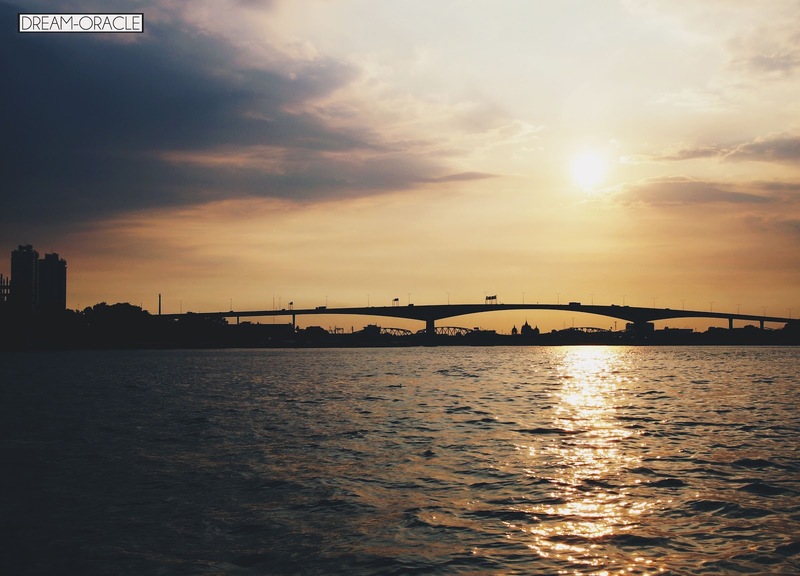 But do take care, because there are 2 docking areas, and one of them is a hotel ferry. The one at the far left is the correct dock. It's a free ferry shuttle so just join the queue and don't fall into the Chao Phraya River. 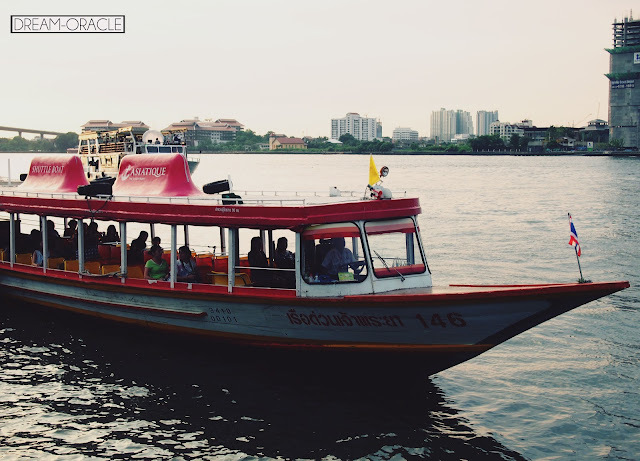 It's roughly a 15 minutes ride and if you're like me, taking the evening ferry, you can catch the sun setting on the Chao Phraya River. It was insanely crowded on the ferry, but I managed to snag a place by the side just so I can shoot some river photos. There is a giant ferris wheel there and I thought it might look good in photos. Asiatique is a fairly new night market, and the prices here are a little more steep than Platinum. But still well worth a visit if you haven't been there before. It's quite a novel experience, taking the ferry to go shopping. I saw plenty of locals there as well, and seeing as there are many really nice restaurants by the river, it'll be a pretty ideal place for dates. You can find cheap deals here if you look more carefully, but they are mostly in the 500 THB range. I saw this skirt which cost 560 THB, which is wayyyyy too expensive. I found a similar looking one in Chatuchak for only 350 THB. 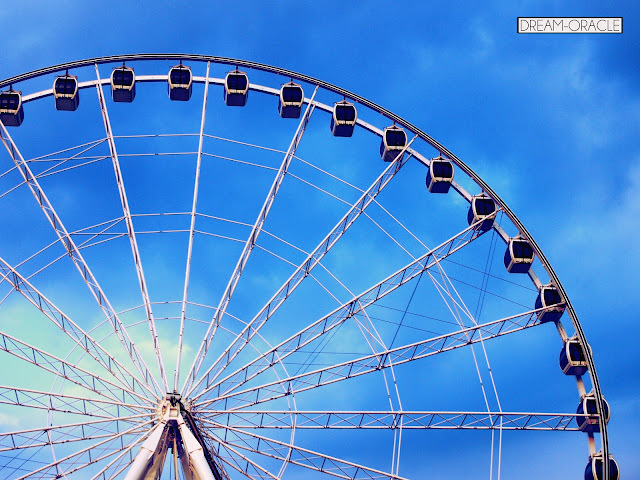 Yes yes, the one at Asiatique is of a much better quality. But really, my Chatuchak skirt also not too bad. So if you don't get too hung up on quality and stuff like this, I guarantee you can save alot of money. 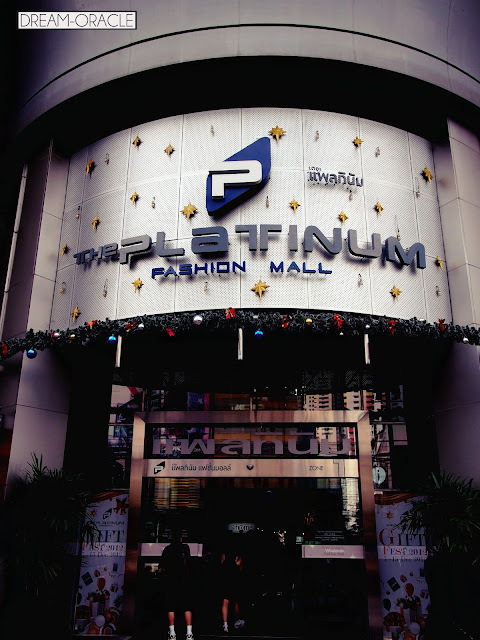 Platinum, is undoubtedly your best bet when it comes to cheap shopping. 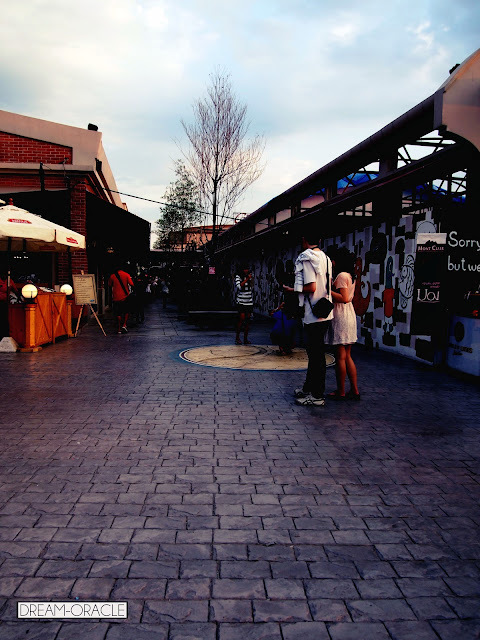 It's a wholesale shopping mall, and there are three zones. Zone 1 and Zone 2 are in the same building. Zone 3 is new, and it's a separate building on its own, right beside Zone 1 and 2. You should pass by Macdonalds before you reach the Zone 3 entrance. Zone 3 is awesome because it's has more shops selling SHOES and BAGS. It was kinda hard not to resist the amazing designs because I love shoes. They say women love 2 things - shoes and bags. But I'm more of a shoes person. The thing about Platinum is that the more you buy (at the same shop), the cheaper it is. As long as you buy 2 items and above (free to mix and match), you can get that item at the wholesale price. For example, a dress costs 350 THB. But if you buy another top, you can then have the dress at 300 THB. As long as you buy 2 items and more, you can purchase everything at the wholesale price. Quite easy one, because everything there is so damn nice hahaha. It helps to make a list of what you want to buy, so you won't feel lost and end up buying all similar items. To make full use of your time, you have to be on a "I need this, this, this" mode and not hesitate while buying. Know what you need, and zoom in for the kill. That being said, you also need to take some cooling down moments. I use those moments to rest my feet, check out my purchases, make sure they can mix and match with the other items I bought and count my money hahahah. You don't want to end up being broke with no money to go home. 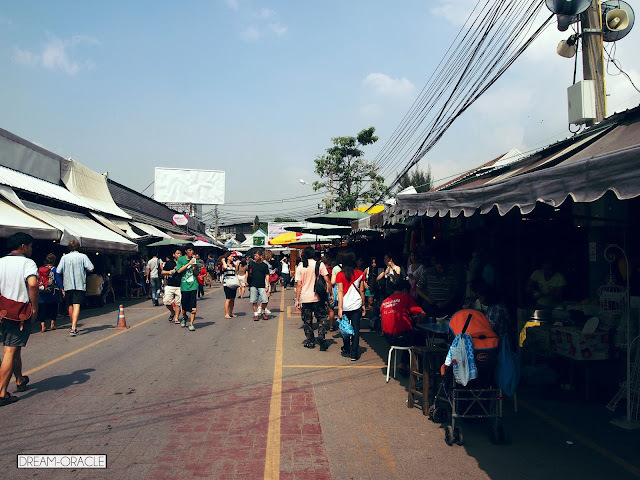 Chatuchak weekend market is another good place to go for cheap shopping. But it can get veryyy hot there, so the next time I'm waking up early to go there. Bring an umbrella, I guarantee you'll need it. You can haggle in Chatuchak, but the likely thing is you won't have to, because everything is dirt cheap. 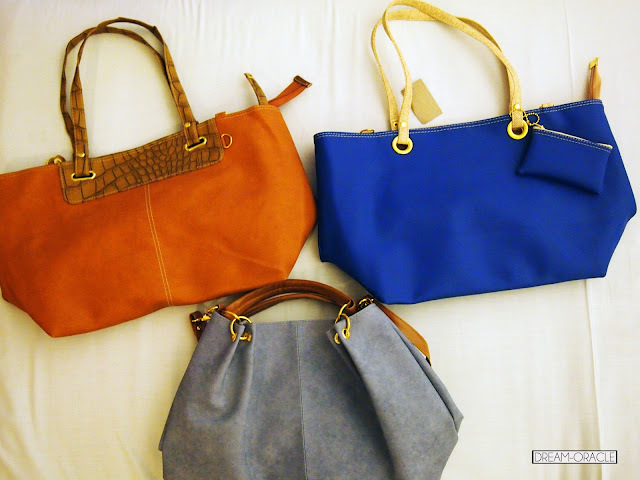 Items here are priced about 150 THB to 350 THB, which is veryyy cheap. For the same quality and design, you'll most definitely have to pay at least $40 in Far East Plaza, but which only cost me 250 THB. Yeah that's only about 10SGD. 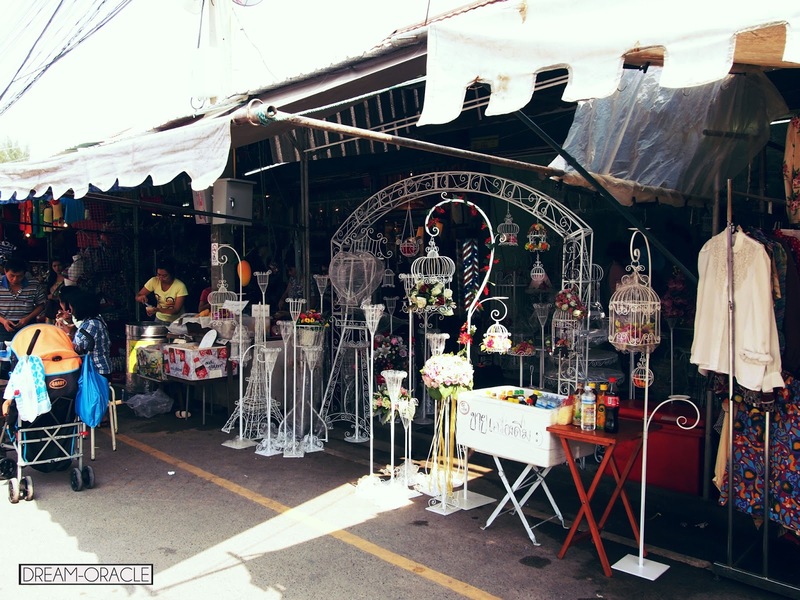 As the name suggests, Chatuchak only operates on Saturdays and Sundays. 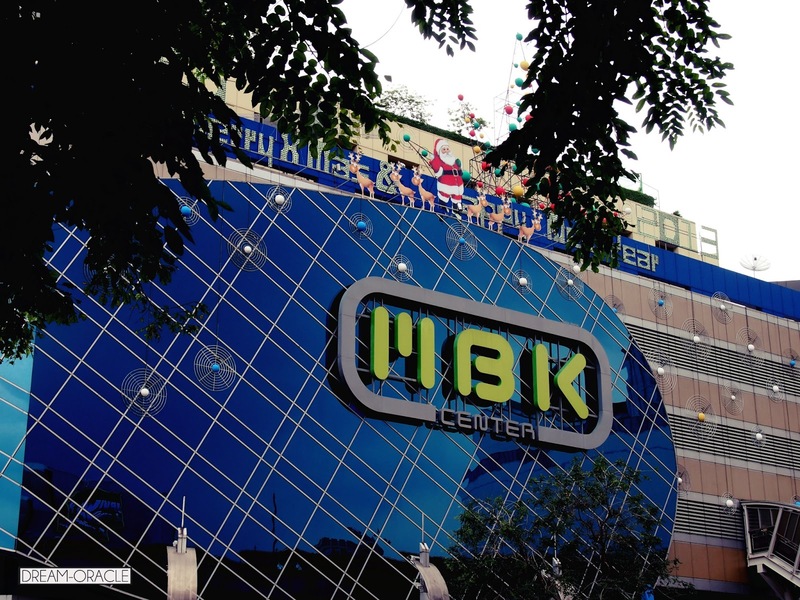 It's a must-visit shopping heaven, so factor in a weekend if you're going to Bangkok. 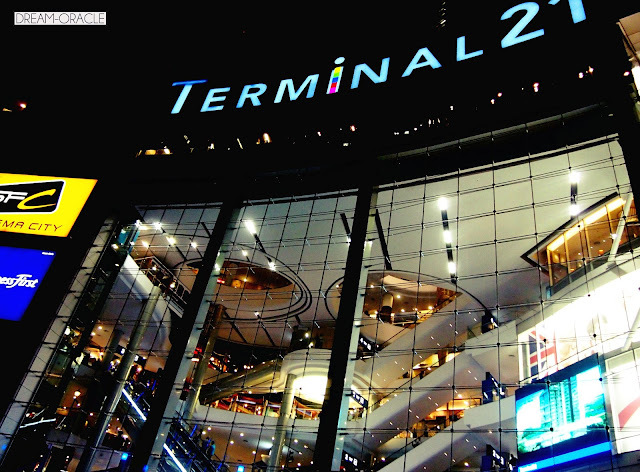 Located at BTS Asok station, Terminal 21 is a relatively new shopping mall. This place is more upmarket, designer style. The special thing about this place, is that each level is dedicated to a different country. So it goes that whatever brands that belong to that country will be situated on the same level. Their toilets are really cool too, you can visit every level to take a look if you have nothing better to do. The Caribbean styled toilets are so awesome, I thought I was onboard a pirate ship in an exotic island. The lifts are quite cool, they really make it seem like you're jetsetting off to the different countries. I overheard this conversation between this father and son. Maybe the people who wrote children songs should write one about the San Francisco Golden Gate Bridge. 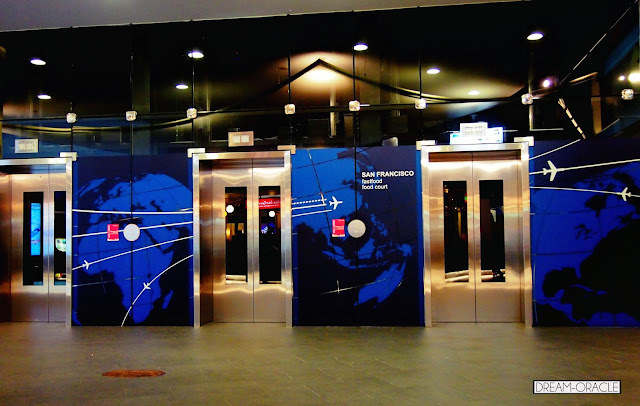 He's standing at the San Francisco level yakking about London bridge. Excuse me London level is downstairs hahaha. Okay okay, back to the shopping mall. 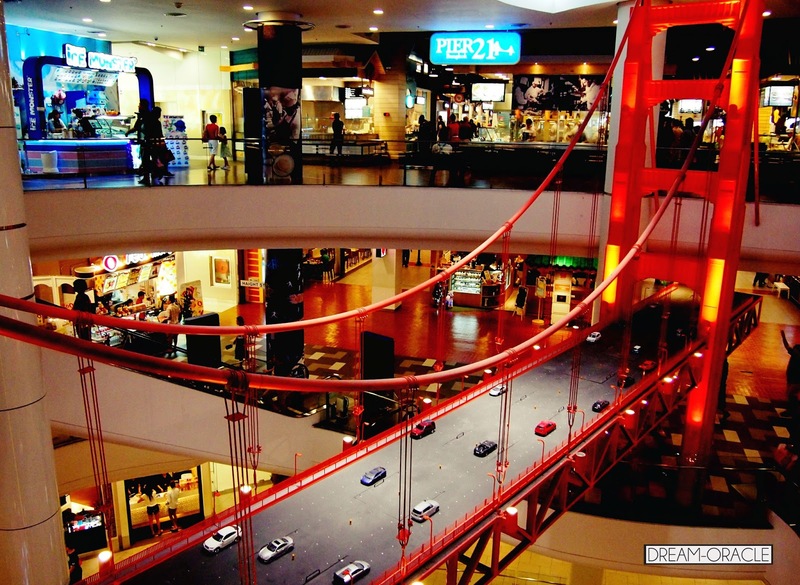 If you don't have alot of time on your hands, then don't bother going to Terminal 21. The items here are very expensive. But they do have some local designers stuff, so if you like that kind of things, this will be your type of shopping mall. If you prefer cheap clothing, then just skip out on this place entirely. Totally not in your budget range. MBK will be a familiar name to all those who visit Thailand regularly, but I'm not loving that place. The electronics level is way too packed, I CAN'T BREATHE. Thinking about that moment gives the chills again. Quite impossible to find my way out of that maze, but I did, thankfully. Things aren't exactly dirt cheap there, and unless you're going to Tokyu to stock up on undergarments then I don't suggest you visit MBK if you have limited time. You do the math. Okay if you need help, it's less than 8 SGD each. Best buy every from MBK. Okay actually, it's my only buy from that place lol. These were very light, and roomy. Perfect for work. That being said, I just might go back again because of the cheap bags. I haven't seen places that sells bags at this price so...MBK you win. But next time, I'm planning to chiong in the minute you open, buy the bags then go foodcourt eat my beef kuay teow and chiong out before the crowd floods in. My hotel is right behind Siam Paragon, so near that I can take the free Gem car shuttle to Paragon. The BTS Siam station is right beside Paragon so I can zoom here and there quite conveniently. 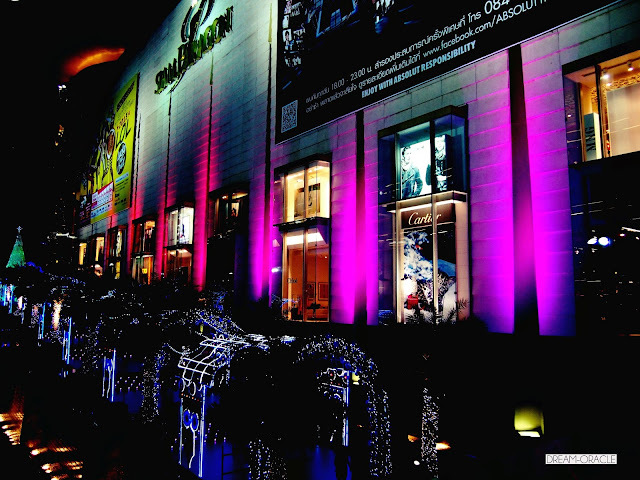 Siam Paragon is the upscale type of shopping centers, you can find Chanel and Uniqlo inside. Nothing much to see, but you can buy winter wear in Uniqlo, it's slightly cheaper than buying it here. The more likeable part of Siam is the young and vibrant Siam Square. Ban Khun May is nestled in the heart of Siam Square, so you can always ask the locals for directions. They're generally quite friendly and will help point a distressed tourist in the right direction. Siam Square is a little like Bugis Street + Haji Lane, but bigger, better and cheaper. They sell more unique items too. The trick is to go when they just opened shop, then they are desperate to sell you items because it's the first business of the day. So you can haggle and just try to cut the price. Which is what I did. Genius. I know I know, not very nice since people doing business, but this is THE surefire way to get the best deal in Siam Square. The items there are generally in the 500THB range so if you can, try to haggle. To sum it up, the cheapest shopping places are Chatuchak and Platinum Shopping Mall. Vist Siam Square if you like very young and unique clothing items. These are the must-visit shopping spots in Bangkok. The rest of them are..more misses than hits. Only go if you have extra time to explore. So yes.. this is the end product of 2 women shopping. Actually there is one more clutch bag and a pair of platforms, but they weren't included in the picture cuz..err I bought them on the morning we were leaving hahahaha! Where else can I buy everything from top to toe for only 200SGD??! It's totally a wardrobe makeover. I have dresses, shoes, blouses, skirts, bags, belts, accessories, and even cloth recycling bags for teaching purposes. The ones I had at home were all torn. So with that concludes my Bangkok Shopping Guide, hehh. Bangkok, I will be backkkk!